A couple weeks ago as I was working on revisions for Storming Amargosa, Candy thought she’d sneak up on me to see what her husband-to-be was up to. I locked the computer on her. “No one sees the rough drafts,” I said when she looked hurt. And I do this on purpose. Sometimes I’ll run a passage by someone or sketch out a scene to get their opinion on whether it will work. One of my regular betas refuses to read or listen when I get late into a project. “No spoilers!” Understood. But the real question is how long do you let that draft sit before you start editing it? A day? A week? A month? 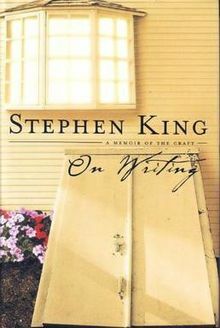 Stephen King suggests a season – three months. Long enough for a story to look unfamiliar to you, but soon enough that the bones of the story are still in your head. That usually bears out. I probably won’t look at Storming again until at least October. What brought this on was one writer’s frustration with a story she could not get to work. She wanted to know how to salvage it. I said it sounded like she didn’t like the first draft and needed to leave it sit in a drawer until she had almost forgotten about it. She mentioned she’d finished it two months ago, but she sounded like she kept pulling it out and fiddling with it in that time. Don’t do that. If you do that, you’ll get Star Wars Special Editions and before there’s a fanbase to justify it. From the first “It was a dark and stormy night…” to about three months or more after you finish, only you should know what’s on the page. And after it’s finished, forget it exists. It’s the only way to stay sane.